“Life can only be understood backwards, but it must be lived forwards”, Norwegian philosopher Soren Kierkegaard once said. And we could not agree more. 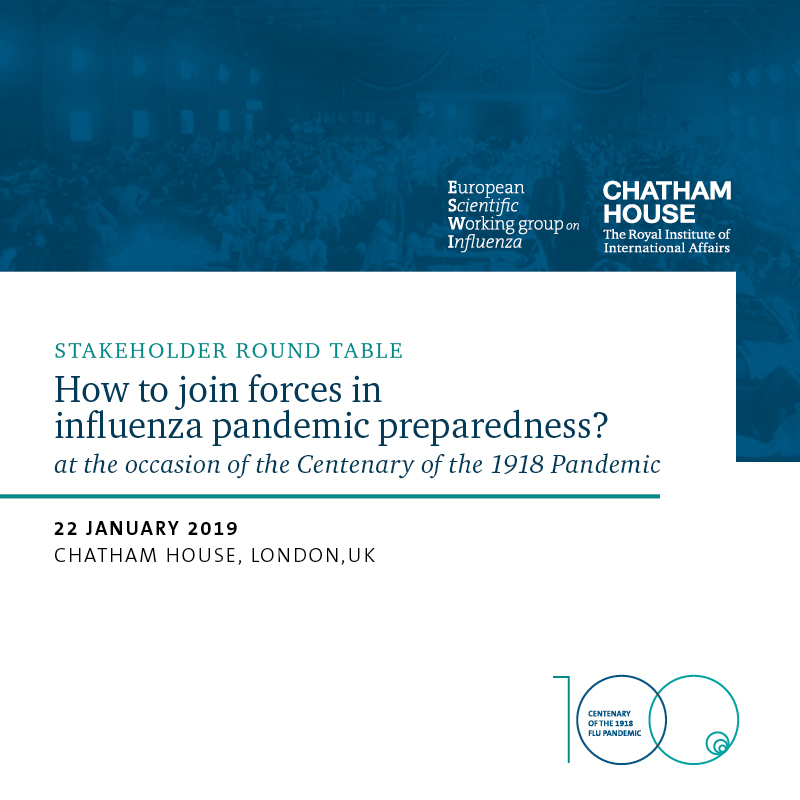 That is precisely why ESWI will commemorate the centenary of the 1918-19 influenza pandemic outbreak with a stakeholder roundtable gathering on 22 January 2019 in London. Chatham House kindly agreed to co-host the meeting at their premises. 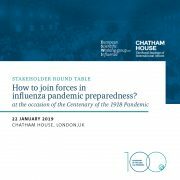 The aim of the meeting is to prepare for the next influenza pandemic by providing an overview of the scientific basis for pandemic preparedness and exploring pathways to improve policy engagement. This meeting will certainly provide a unique opportunity for discussion between key players and participants in pandemic preparedness and response. A preliminary meeting agenda is available here. More information will be made available on this website in the coming months.